Most people have not consciously reflected on their own epistemology. They haven’t stopped to ask themselves, “How do I ultimately know anything? What are the standards by which truth is determined? And are these standards reasonable?” It is obvious that all people do have an epistemology because it would be impossible to know anything without some kind of system of knowledge – and people do know things. But most people are not aware of their own epistemology. They are not epistemologically self-conscious. Some might say, “Who cares? I’m not a philosopher. So why should I be concerned with epistemology? It is enough that I do know things.” But in fact, our epistemology is crucially important because if it is wrong, then many of our beliefs derived from that faulty system will also likely be wrong. If our epistemology is wrong, then we could be wrong about everything we think we know. The reason for a belief must itself be believed for a good reason – and so on. Suppose Jenny says, “I understand they are building a new apartment complex down the street.” We might ask, “How do you know this?” Jenny responds, “Bill told me. He said he talked with the construction crew.” Is this a reasonable answer? It depends. The reason for Jenny’s belief is Bill’s statement. But is Bill’s statement reliable? If it is, then Jenny’s belief is reasonable. If not, then Jenny’s belief is irrational. So we must know something about Bill in order to know if Jenny is being rational. For example, it could be the case that Bill is a notorious liar. If Jenny knows this, then it would be irrational for her to believe his statement without additional reasons. But let’s suppose that Bill has shown himself to be trustworthy. Even in this case, Bill could still be mistaken. Maybe he has a mental disorder that causes him to hallucinate from time to time. Bill may honestly believe that he talked with a construction crew, when in fact it never happened. So Jenny’s belief is contingent upon both Bill’s honesty, and the reliability of Bill’s mind and sensory organs. Jenny’s belief also depends upon the reliability of her own mind and senses. Perhaps Jenny hallucinates on occasion and only thought that she talked with Bill. Perhaps Bill does not actually exist, being only a projection of Jenny’s delusion. How can Jenny know that her own mind and senses are reliable, such that she can know that she really talked with Bill? Most people just assume that their senses are reliable without thinking about whether or not this belief is reasonable; they are not epistemologically self-conscious. But these questions must be answered if we are to be confident that we have knowledge of anything at all. If we are to be considered rational, then we must not continue to act on unsupported assumptions. Christian epistemology makes knowledge possible. The Christian worldview alone makes it possible for us to answer these questions and have genuine knowledge. This is because knowledge stems from the nature of God (Proverbs 1:7, Colossians 2:3). God has revealed some of His knowledge to us. Some of this knowledge is hardwired directly into us, and other knowledge is revealed by God through tools that He has given us – like logic and reliable sensory organs. The Christian worldview gives us rational justification for all the things that we rely upon in order to have knowledge. As another example, we can trust that our senses are basically reliable because God has created them (Proverbs 20:12). What our eyes see and what our ears hear do correspond to reality. Of course, on occasion our senses fail us because we are finite and also because of the curse. An optical illusion is an example of this, and so is a mirage. But God has given us several different senses and the rationality to compare data from different senses so that we can discern these rare instances. So we can be confident that our senses are basically reliable. As a third example, consider the laws of logic. We use these laws instinctively to rightly judge certain kinds of truth claims. We know that the statement, “My car is in the garage and it is not in the garage (at the same time and in the same way)” is false because it violates a law of logic. But how do we know that laws of logic are reliable? Even if they work sometimes, can we have any confidence that they work all the time, or in future situations that we have never experienced? In the Christian worldview laws of logic are a reflection of the way God thinks. Hence they will necessarily be right because God’s mind defines truth. Laws of logic will be true everywhere in the universe and at all times because God is omnipresent and does not change. We can know laws of logic because we are made in God’s image, and can think in a way that is consistent with His nature. As a fourth example, we can have knowledge of morality – “right” and “wrong.” God has revealed to us how we should behave according to His will. And God will hold us accountable for our actions. Hence, all people have an objective reason to behave according to the standards laid down in God’s Word. We are morally obligated to our Creator. Non-Christian worldviews would make knowledge impossible. By this, I certainly do not mean that non-Christians can’t know anything. Clearly they can. But this is despite their worldview and not because of it. My point is that if reality were the way non-Christians claim it is, then knowledge would be impossible. The reason is that these unbiblical worldviews cannot justify those things necessary for knowledge. So while a non-believer might offer a reason for a belief, he or she cannot ultimately justify the reason itself from a non-Christian foundation. For example, “I know Saturn has rings because I have observed them with my eyes through a telescope.” But this assumes that our eyes are reliable – a Christian concept. A person might say, “I know two contradictory claims cannot both be true because this violates a law of logic.” Quite right, but apart from Christianity there is no reason to believe that laws of logic are universally and invariantly reliable. As a specific example, consider the most common secular worldview – that the universe is the result of a big bang, followed by billions of years of cosmic and then biological evolution. In this worldview, people are merely the inevitable unplanned result of chemistry acting over time. There is no grand scheme of things, no ultimate mind upholding the universe, and no ultimate objective meaning. Can a person holding such a view ever have good reasons for his beliefs? Evolutionists do rely upon laws of logic, upon their mind and senses, and upon morality. And these are good reasons – in the Christian worldview. But in the secular worldview, can these reasons be justified? If not, then a secularist would be irrational to believe them. 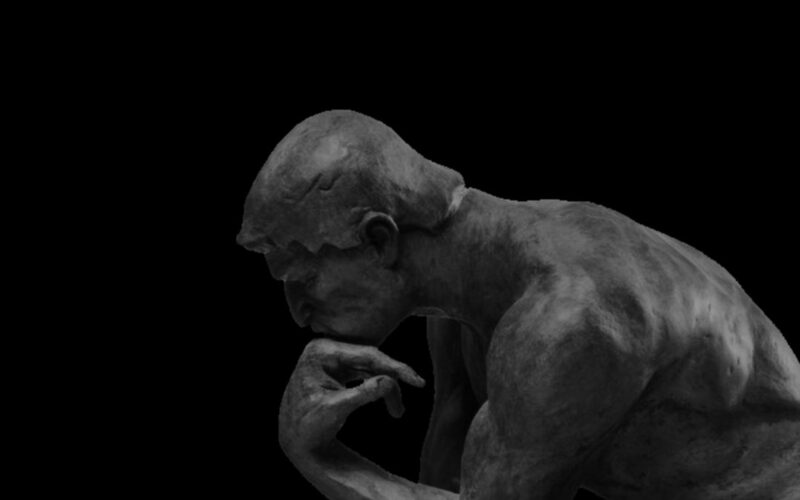 Why in the secular worldview should we suppose that our mind has the capacity to be rational? Rationality involves choice; we consciously consider the various options and then choose the best. But in the secular worldview, the brain is simply chemistry – and chemistry has no choice. Chemicals always react according to prescribed laws of nature. In the secular worldview, there is no more reason to trust a human brain than there is to trust in reading tea leaves. Both are just the inevitable result of chemical reactions. Should we trust that our senses are basically reliable? Not in the secular worldview. According to evolution, our sensory organs are merely the result of accidental mutations – those that did not decrease our survival value and were therefore not eliminated. Some people might suppose that our sensory organs are reliable because they have survival value. But this does not follow logically. Chlorophyll has survival value in plants; but this does not imply that chlorophyll reliably informs the plant about the outside world. Should we trust in laws of logic? In a chance universe, there is no reason to expect there to be laws at all, nor laws of logic in particular. Even if we grant their existence, the secular worldview cannot account for their properties. Given that the universe is in a continual state of change, why should laws of logic be exempt? We all assume that they will be the same tomorrow, but this belief is unwarranted in the secular worldview. Why would they be the same everywhere? How can the human mind know about them? Why does truth always conform to laws of logic? The secular worldview just doesn’t have a good reason for such things. The existence and properties of laws of logic are unjustified in the secular worldview. And hence, any belief based on them is also unjustified in the secular worldview.